September is coming, and not only is it the month that I celebrate my anniversary at work, which also happens to fall on International Talk Like a Pirate day, but it is also a new month and that means a new contest. September’s contest is sponsored by the makers of one of my favorite gadgets that lives in my camera bag. It is the XShot. Michael from XShot liked the contest from July so much that he wants to do it again. This time however he is offering prizes for owners of the XShot. That means that if you already have an XShot you are all set but if you don’t that is okay. You can get an XShot through my special promo code of SPARK0907 that gets you an XShot for $19.95 ($5.00 off the retail price). Once you have your XShot I want you to get as creative as possible and submit photos that you have taken with the XShot. Are they with big groups of people, celebrities, or is it simply the first time you have been able to get out from behind the camera by yourself or with a friend. We are looking for creative photos using the XShot that you couldn’t take just by extending your arm or using an ordinary tripod or anything else, save a personal photographer. With the XShot you are your own personal photographer! And my friend Christine bought and XShot using a promo code and got her own XShot. She posted a great blog post about called Is YOUR arm 37 inches long? And also take a look at this video and coverage of the XShot on ABC. All photos submitted for the contest may be used on the BenSpark.com website or the XShot website. ** BenSpark’s August Add It Up Contest participants. Want 100 points? Post about this upcoming contest using keywords and anchor text from this post in one of your own. Can I enter with my S-shot? Sorry Stephen you would need the actual XShot. No facsimiles or knock offs. I think you may need to invest in some gear and get all your canine friends in a shot. Great job, thanks very much. awesome Christine, thanks for a great post. I can’t wait to see what you send in. 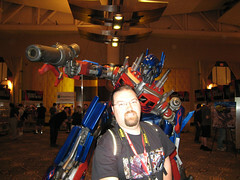 tranformers pic was aaosam i like tranformers very much…. Thanks. Transformers are my favorite as well.